Stering Bank Valentine Contest. Win N20K OR Dinner For 2. Win an all-expense-paid dinner for you and your bae or a shopping voucher/cash reward worth 20 thousand Naira or movie tickets for you and your friends. 1. 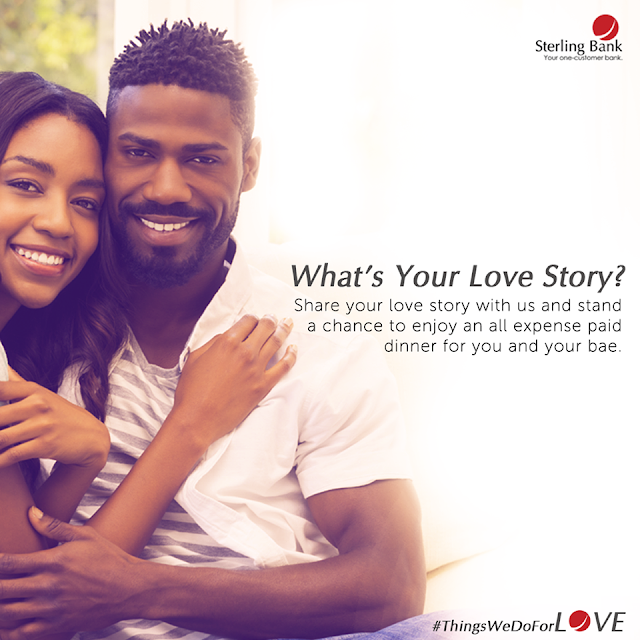 Share with us in a video or post the things you've done out of love with the hashtag #ThingsWeDoForLove and get your friends to share. 2. Posts with the most shares win.